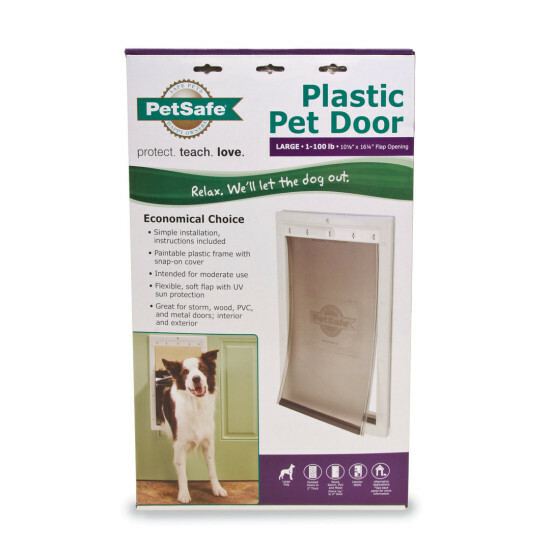 This durable Plastic Pet Door gives you and your furry pal the independence you both deserve. 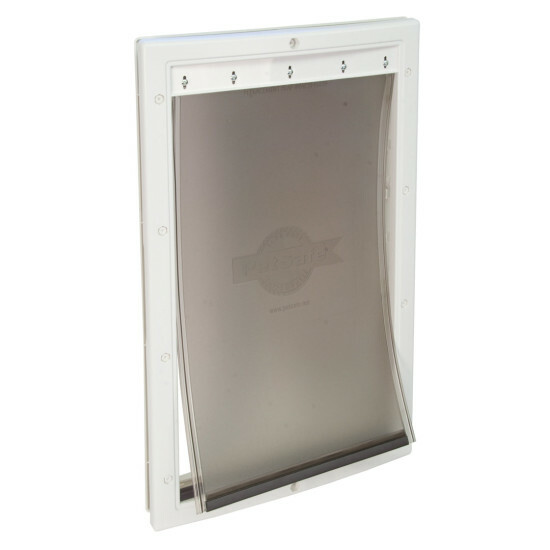 The frame is paintable to match any decor and a snap-on closing panel is included to use during those times when you do not want your pet to use the pet door or during inclement weather. 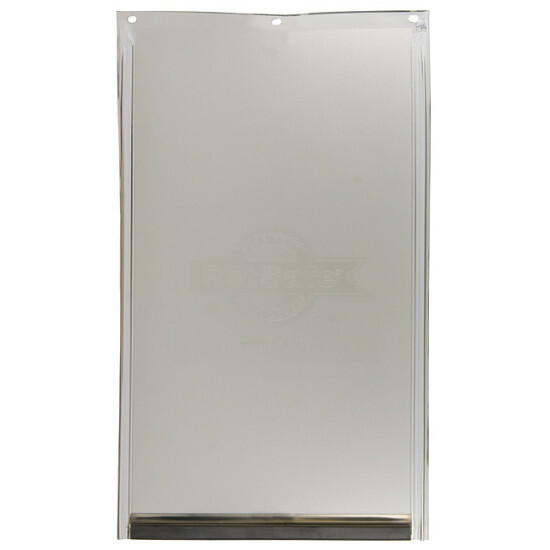 The soft, flexible tinted flap is safe and easy for your dog to push open so he can let himself out – and back in. 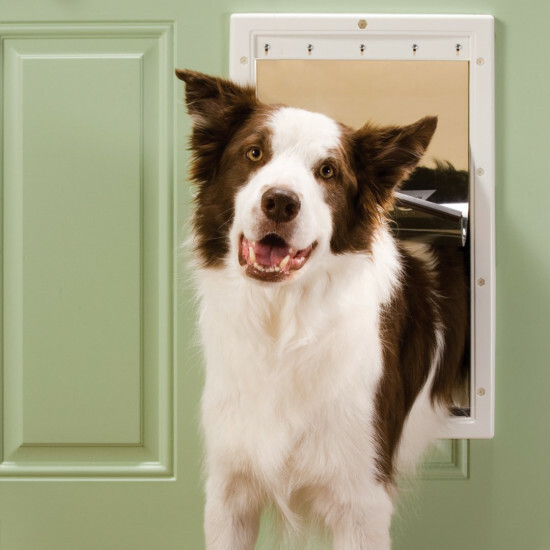 For better weather insulation, the magnetic strip at the bottom of the flap keeps the flap closed when your pet's not using the door.